Total flexibility and transparency to track and manage your inventory. 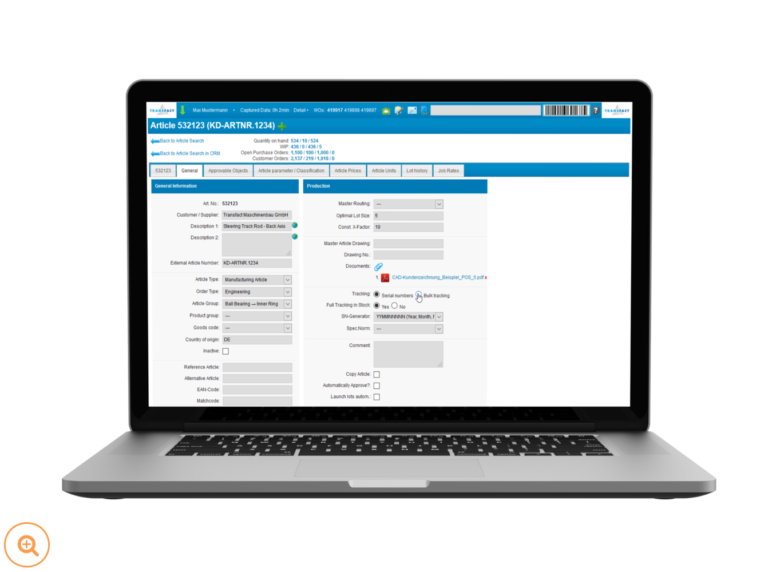 We know the importance and value of your inventory, that’s why the Transfact Stock Module is designed to support all your warehouse processes, in the exact level of detail that your organisation requires. 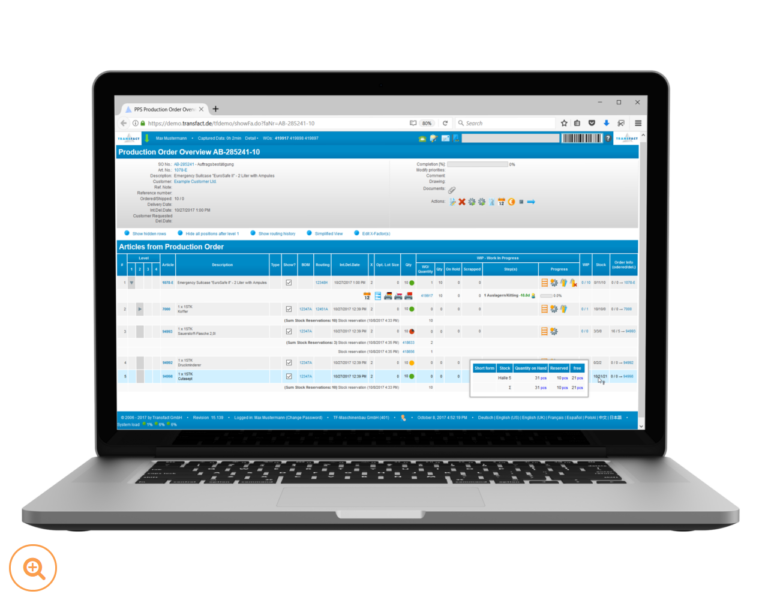 The Transfact Stock Module provides you with all the tools and features your need to keep track of all stock transactions, while making it easy for your employees to book, track, search, find and reserve all materials needed for production and delivery. Full support for Lot Number and Serial Number tracking for materials that need this level of detailed traceability. 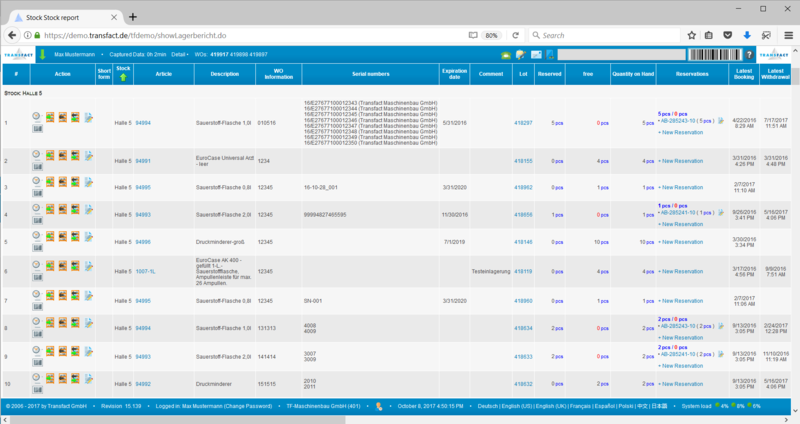 The Transfact Stock Module provides you all the features you need to comply with very strict traceability norms and standards. The Transfact Stock Module offers you transparency in all your inventory transactions and makes the history of any store location available with one single click. Keep track of what happens in your warehouse at the level you need. 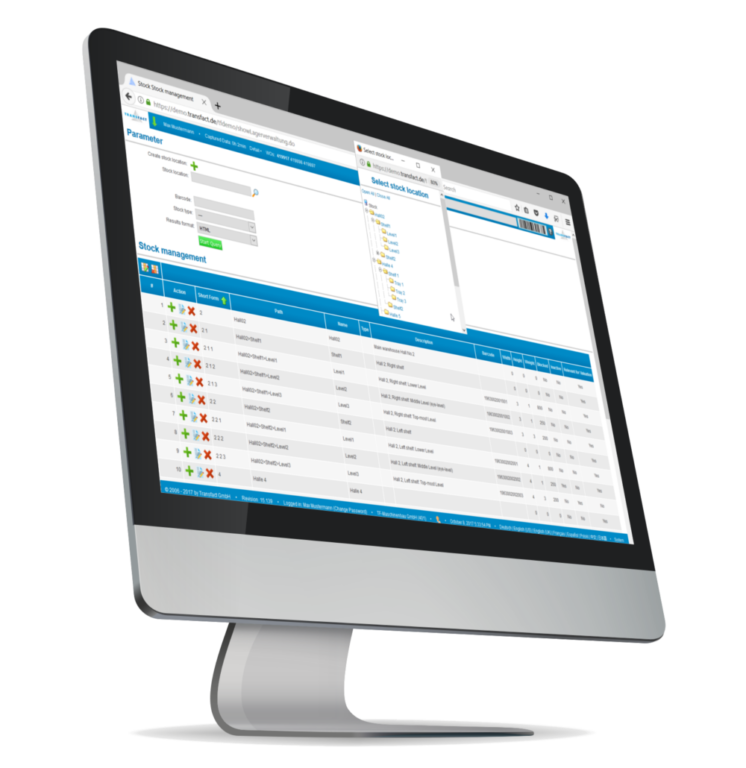 The Stock and Production Modules integrate seamlessly to provide numerous features that support warehouse management. Material reservations and order-picking stock bookings can be configured to be done automatically at specific steps of your routings. 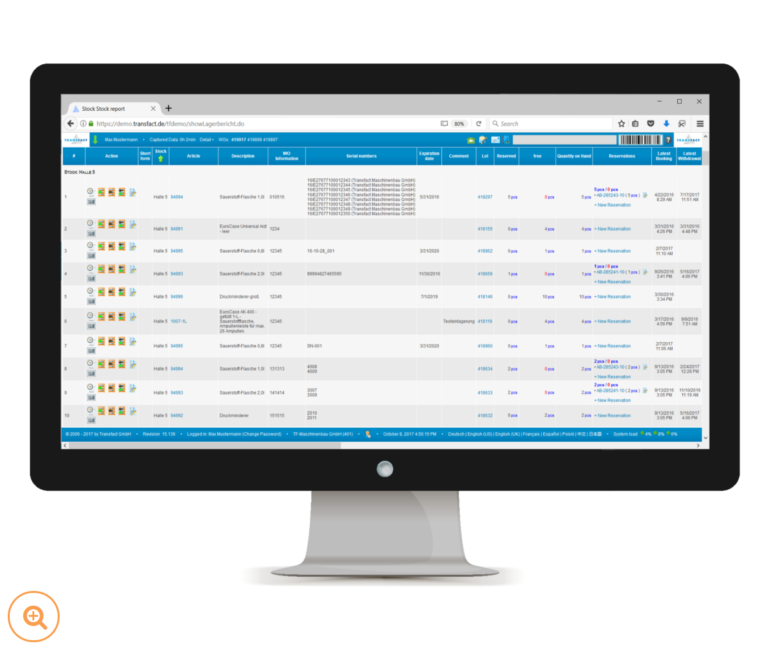 Track your inventory by location, lot number or even individual serial numbers. 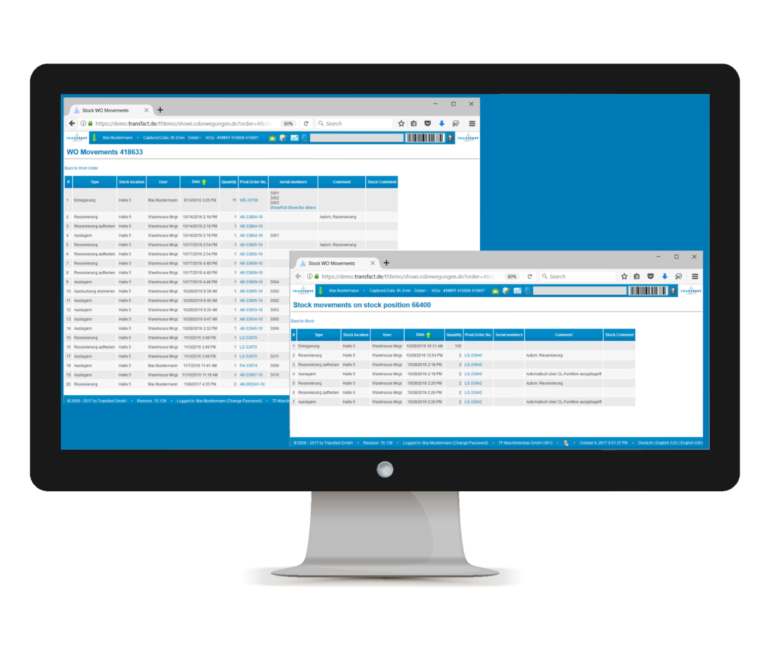 No need to track lots or serial numbers on all your materials? Then choose the exact level of detail required for the article that require it. Lot and serial number tracking is kept via order-picking, throughout production and assembly of sub-components, so that you can keep full traceability. 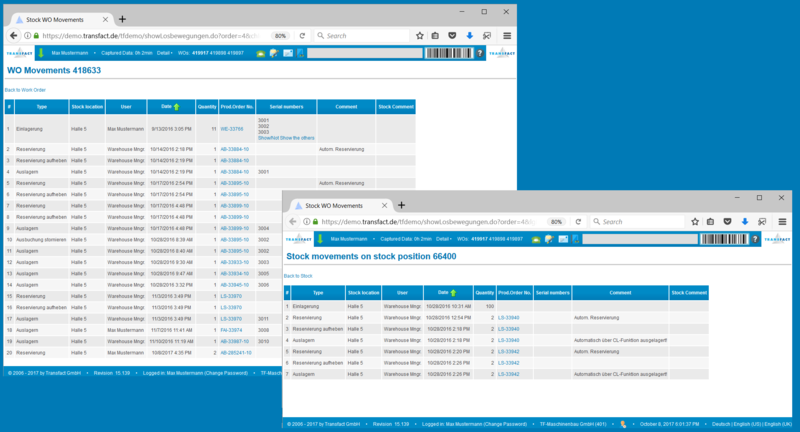 The Transfact Stock Module automatically tracks all stock movements: incoming, outgoing, transfers, order-picking and inventory adjustments. Have one-click access to the transaction history of any stock-location at any time, directly on your browser. 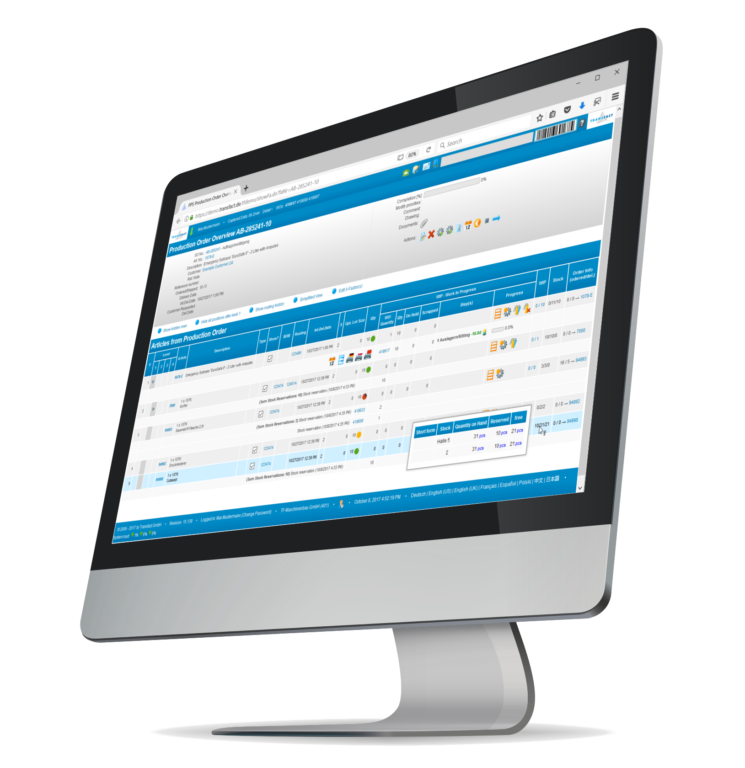 Transaction transparency provides you better control over inventory adjustments and corrections. 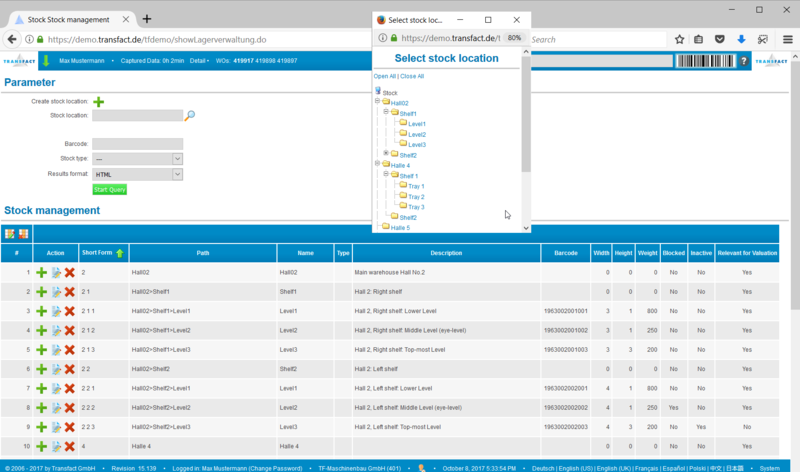 Configure your stock locations to be as detailed or as general as your organisation needs them to be. The Transfact Stock Module allows you to create store locations that model the structure of your real warehouse locations. Store locations can be grouped and structured in clear hierarchies that allow your employees to use and find the correct locations easily. Completed production batches can be easily booked into stock, keeping all production data already linked to the materials in store. Make material reservations from stock for running or planned orders, that way you know exactly which items are still free or already planned for production work orders. 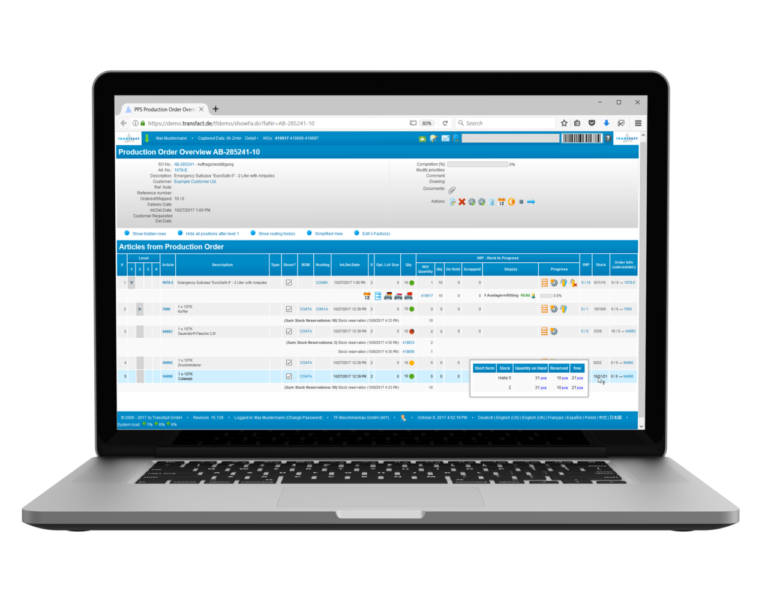 Automatic stock-bookings make order-picking very easy to track in the system with only a few clicks. The Transfact stock report provides you with all the relevant data for inventory management. 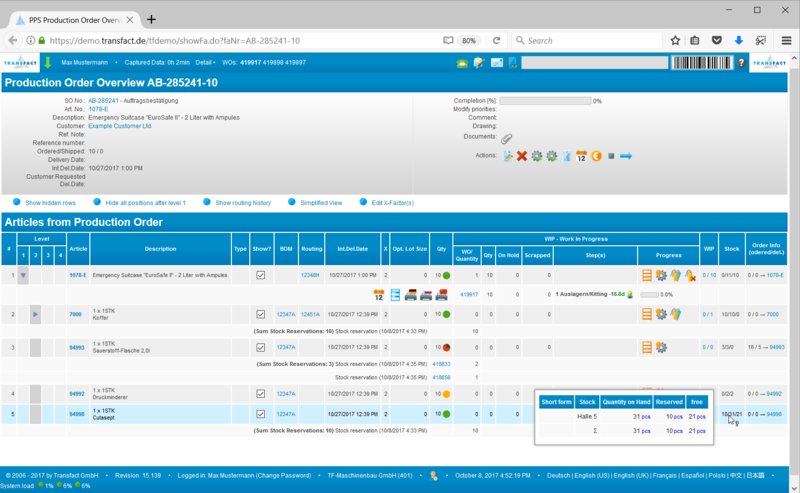 Quantities, references, movement dates, booking dates, expiration dates, lot numbers, documents, comments and any other information you need can be easily configured and displayed in the reports and search results. Production costs and inventory depreciation values can also be displayed for each stock-position.